I found this article on Hack-A-Day website. Some of you may recall my 100 watt custom monster amp post but even it in all its awesome glory is super small potatoes to this creation! Johns work is exquisite and simple in design with thoughtful approaches to a variety of aspect to his amp. We are all anxiously awaiting part 3 of Johns missive into his marvelous amplifier containing schemtaics, results, and notes. Johns website has a host of other useful information and ideas as well as how to’s and other designs both by him and other third party amp companies. 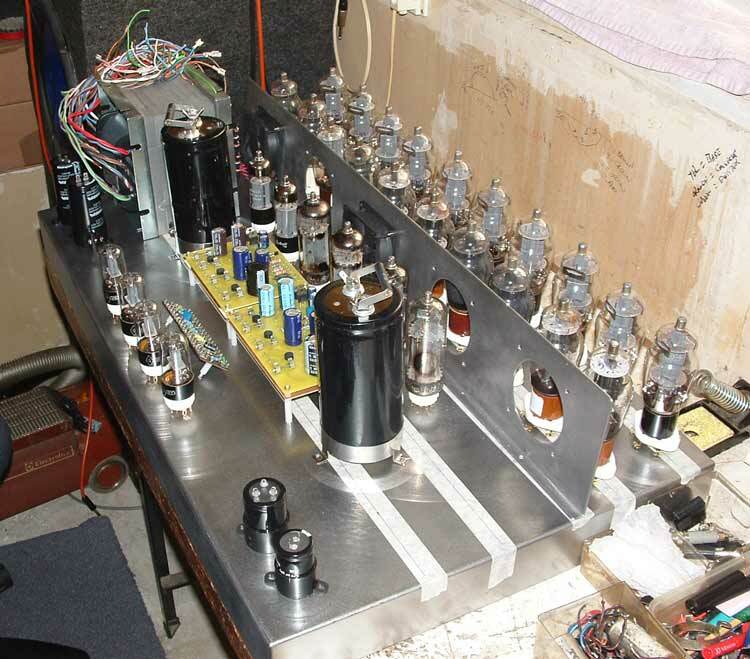 Be sure to follow Johns progress as he seems to be a serious and well aged contender in the tube amp market and certainly better versed and more experienced than I! 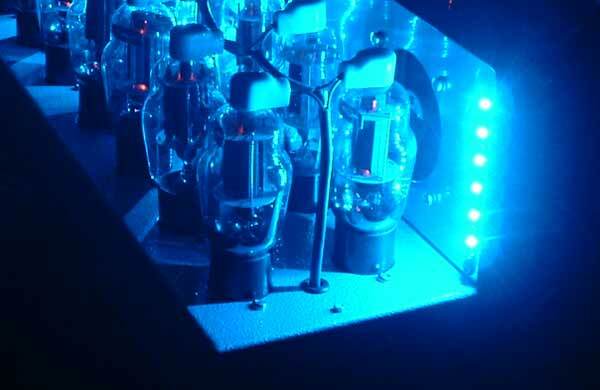 The 1000 all tube Beastial Amplifier! Novachord 555 Project Begins With Baby Steps! I found this article quite some time ago. to accomplish this monstrosity of a synth. Welcome to the NRP site. This site may drastically revise your perception of electronic music history. The first commercially available synthesizer was designed by the Hammond Organ Company in 1938 and put into full production from 1938 to 1942. The Novachord is a gargantuan, all tube, 72 note polyphonic synthesizer with oscillators, filters, VCAs, envelope generators and even frequency dividers. If you are skeptical about the Novachord being a true synthesizer, check out the sound clips near the bottom of the page. Please don’t let this site lead you to believe that restoring one of these 500 pound monstrosities is anything close to easy. You will need tons of: time, resistors, capacitors, muscle, money, test equipment, patience, family members with patience, etc. The 2011 San Mateo Maker Faire was a great success! So many wide-eyed kids (and adults) visited the element14 booth to witness a live taping of The Ben Heck Show, to see Ben Innes and the official unveiling of his stunning art installation piece as well as to see the culmination of the Great Global Hackerspace Challenge. This panel Features Jeri Ellsworth, Ben Heckendorn, and Mitch Altman. The panel Moderator is Michelle Dobson. Krs who learned electronics and went on to design electronic conference badges (and teaching others). She has the maker bug! “Krs – Hackerspace Electronics: From Nub to Ninja in Under a Year”…. via Make: Online | Krs – Hackerspace Electronics: From Nub to Ninja in Under a Year. About Reflecting in the Chrome: A Nine Inch Nails Live Recording Archive! Reflecting in the Chrome was created in 2008 at the end of The Lights in the Sky tour. Over the years NIN has been captured live by many people; there are hundreds upon hundreds of recordings. However, there was not a site that collected these recordings and shared them with NIN fans. RITC is an archive of Nine Inch Nails’ live recordings over the last 20 years. All recordings are available for download free of charge. via About Reflecting in the Chrome: A Nine Inch Nails Live Recording Archive. via Pink Floyd Reunite at Roger Waters Show in London | Rolling Stone Music. Jeri Ellsworth: Race Car-Building & Driving, Roller-Derby Skating, Self-Taught Chip Designer And My Buddy! Take one race car driver, give her a roller derby jersey with the name “Rectifier 1N34″ (sic) and access to some components, and who do you get? Jeri Ellsworth.When Jeri took the stage this morning at ESC Silicon Valley, keynote comparisons were made between Woz, the Tuesday keynote presenter, and her. The basics are that they are both nerds who were bullied, they both had amazing dads who encouraged them to become electronics kids, they both dropped out of school (Jeri out of high school, Woz out of college), and they are both very much self taught. Unlike Woz who went back to school after starting Apple, Jeri did not. In fact everything she’s done – and it’s a lot – is self taught. Catch the full article here: Jeri Ellsworth: Race car-driving, roller-derby skating, self-taught designer. One day I was researching alternative ideas for a reverb circuit and chanced to run into a video recorded by Jeri Ellsworth where she took an old floppy drive and floppy and figured out how to control it and feed audio into it and out of it in effect turning it into a delay/reverb unit! I got excited about this and though it turned out that the device was not very musically valid for what I wanted it was still very cool and so I subscribed to her youtube channel. That was a couple years ago and since then Jeri and I have become tech buddies and supported each others endeavors in the tech video/article world (she much more than I unfortunately). If you do not know who this “Force Of Nature” is be sure to check out her youtube channel at http://www.youtube.com/jeriellsworth or her website at http://www.jeriellsworth.com or just do a google search for her name on http://www.google.com to find many many links to articles, stories, videos, and podcasts of her, by her, and for her! Jeri is currently working on a series of technical videos for both Element14 DIY parts supplier and Adafruit industries DIY parts supplier. Anyone who gets featured on the same keynote ticket as Steve Wozniak is a winner in my book!